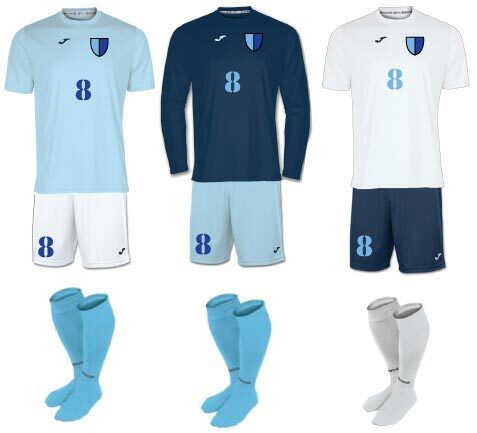 Here are some color combinations options for your Team Uniforms in Sky Blue. These are not all the possibilities, but provide some ideas to get you started in creating the unique look you want. 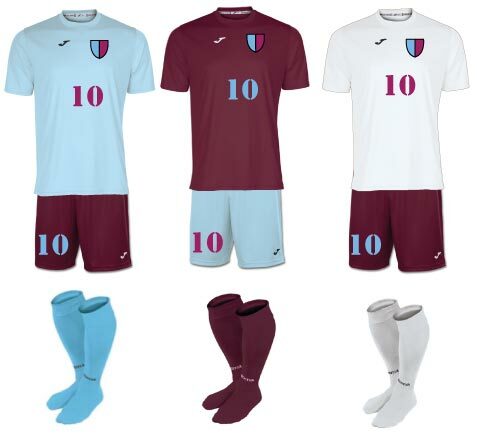 Long sleeve and short sleeve shirts available in most Joma styles and the Givova styles. In some of the images here the sky blue socks appear darker than they really are. Lt. Blue looks great with Navy, Black and Maroon, too! Keep scrolling down. Outerwear ideas at bottom.